Thick, clear, vinyl coated cushioned grip eliminates slipping & hand shock for a firmer hold Tough, durable & light-weight; only 1 lb. 1" round heavy duty aluminum, 42" long. Wear-resistant plug cap inside of tip end. 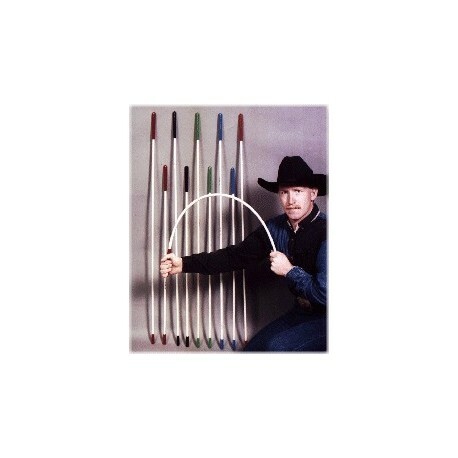 Paddle Sticks w/ BB's 48"
High visibility makes it easier to sort cattle, hogs, and sheep. 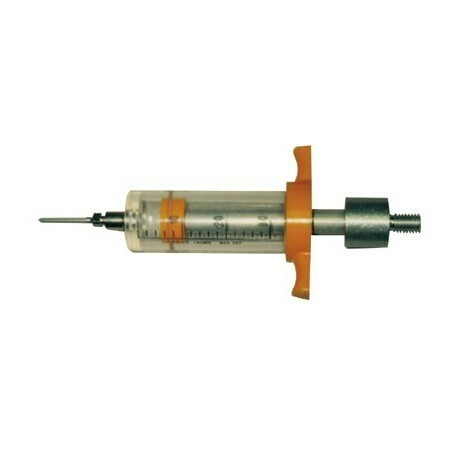 The shaft is vinyl coated fiberglass to eliminate shattering and splinters. 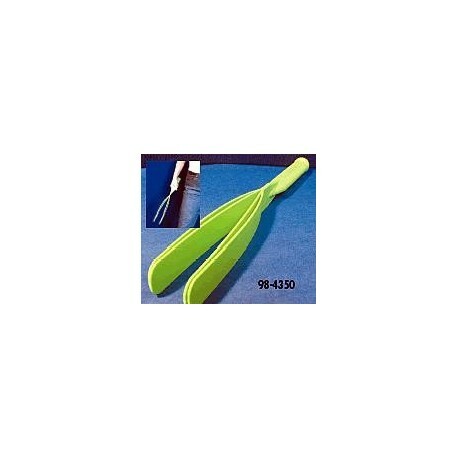 The paddle head is constructed of high density polyethylene. Paddle head is 6" wide, 12" long. 1/2" x 48". Original grip. An effective, humane method of directing or driving the animals. Creates a large cracking sound when slapped against a surface, such as a hand or pig's flank, to which the animal reacts. A great alternative to traditional animal driving. Catch a calf with less stress on animal and quicker and easier than a rope. An exclusive "Spring Button" feature allows Kalf Katch to lock in at 5 ft. and release button to extend to 10 ft. Works on calves up to 200 lbs. Adjustable shaft from 5 ft to 10 ft. Lightweight. 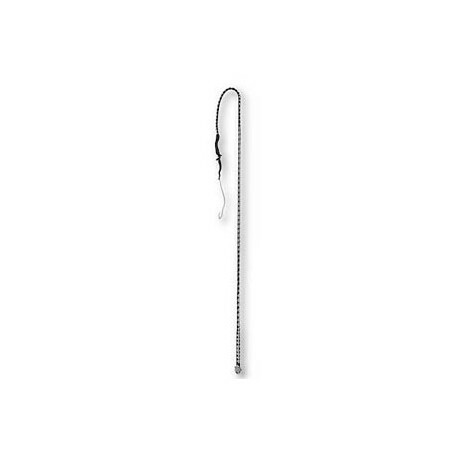 Includes Pole & Calf Hook. 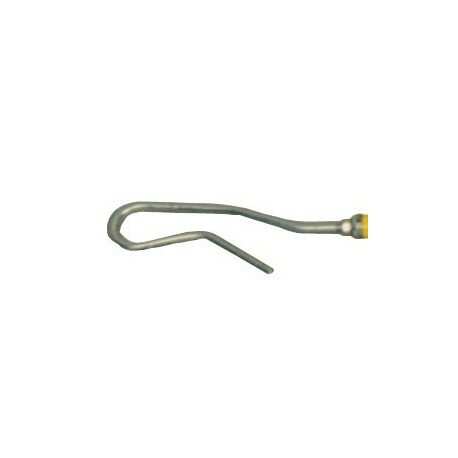 KALF HOOK ONLY....used with aluminum Kalf Katcher only. 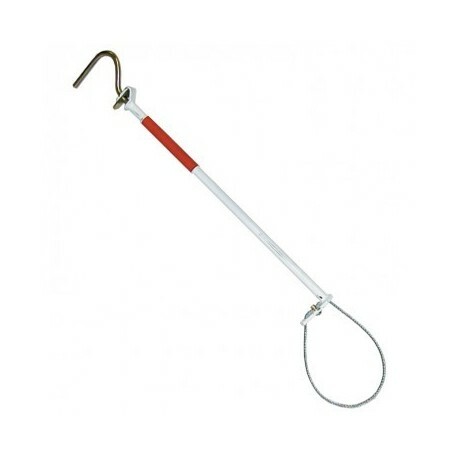 Kalf Katcher Includes Pole & Calf Hook, Less stress on animal. Works on calves up to 200 lbs. Adjustable shaft from 5 ft to 10 ft. Lightweight. Kalf Hook only. SHEEP HOOK ONLY...for use with the Aluminum Kalf Katcher only Kalf Katcher includes Pole & Calf Hook, Less stress on animal. Adjustable shaft from 5 ft to 10 ft. Lightweight. Sheep Hook only. 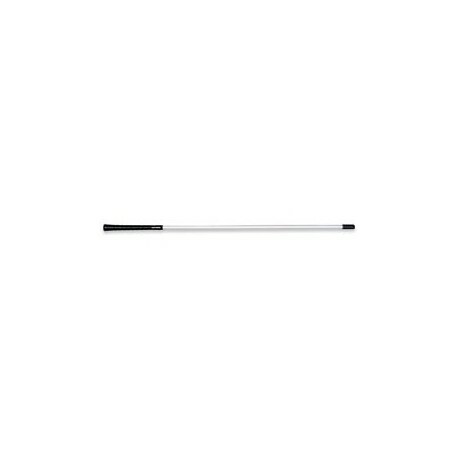 Fiberglass Sorting Pole White 54"
Livestock sorting pole. Splinter proof, 180 degree flexible shaft. Vinyl coated fiberglass. Orange tip & grip is standard. Splinter proof. Oringinal grip. 1/2" x 54". Original grip. 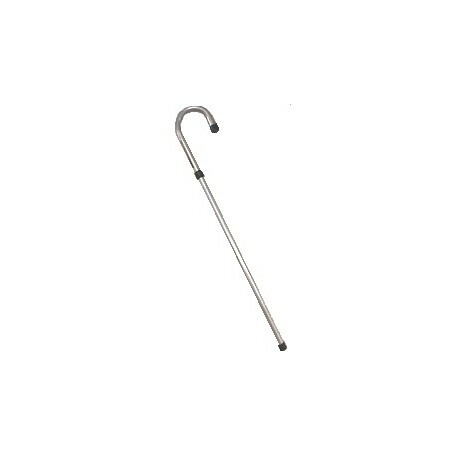 Flex Cane is made of ultra-high molecular weight polymer, is 38" long and has a curved handle with no-slip grip. Guaranteed against breakage, Flex Cane is ideal for working animals at shows, in auction rings and on horseback. Some colors may be special order. Call for color availability. Quick release nose tongs for restraining hogs. 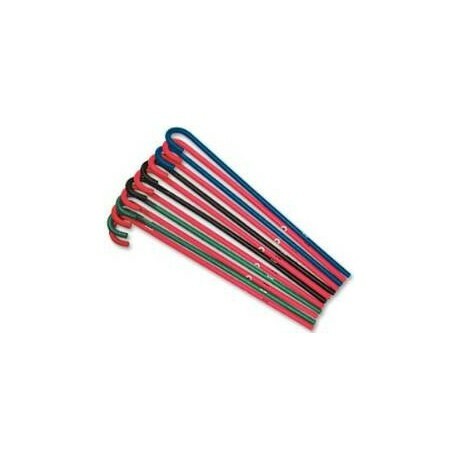 Strongest on the market with 1/4" flexible cable. Heavy steel shaft. with 23" long heavy aviation cable snare.Catcher is 35" long. Cable is extra long so breaks can be repaired.